Watch Ruby’s collaborative video with non-profit organization Remake, and see why sustainable fashion is a women’s issue. An experienced television host and a former spoken word artist, Ruby is a veteran on stage and on-camera. Her dynamic personality has captivated audiences worldwide, a vibrant energy that offers fresh perspective to familiar conversations. Whether facilitating dialogue between high school students in Oakland, California, or interviewing designers at New York City’s Fashion Week, Ruby represents a magnetic and undeniably vibrant emerging voice that energizes, empowers, and enlivens her audience. 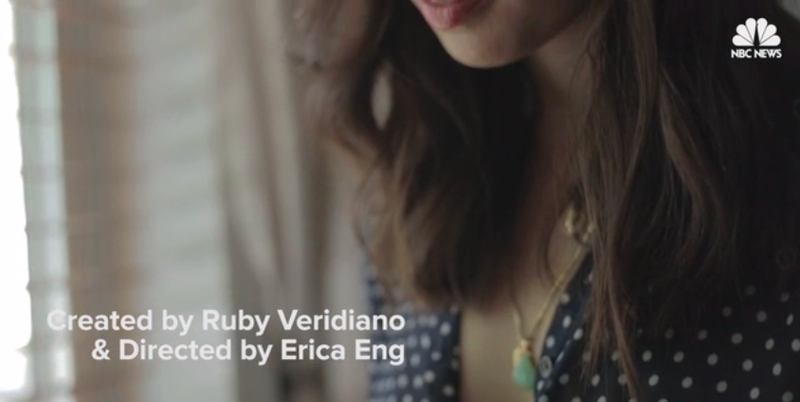 Ruby is the creator and co-producer of "Wear I'm From", an original web series on the topic of style and cultural identity for NBC News Asian America. Click each image to view the corresponding episode. "Wear I'm From" is directed by Erica Eng. Cosmopolitan Philippines, Audrey Magazine, Meg Magazine, Academy of Art Magazine, Stash Magazine, Wiretap Magazine, Runway2Reality, Philippine Inquirer, Philippine News, My Creative Connection, M.I.S.S. Media, Fashionably Marketing Me, and more.